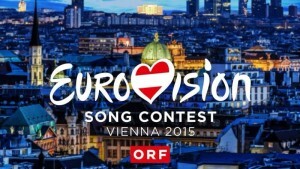 Today contest organisers have announced that Vienna has beaten Graz and Innsbruck to be named the host city of next years 60th Eurovision Song Contest which will be staged at the Austrian capitals Wiener Stadhalle. After many months of speculation and a multi-city bidding process in the country the Austrian capital Vienna has been named as the host city for the diamond jubilee contest next year. Wiener Stadhalle is set to be the venue for the lives shows on May 19th, 21st and 23rd. The Stadhalle is located in the 15th district of Vienna and was designed by the Austrian architect Roland Rainer and built in the early 1950’s. The total capacity of the venue is 16,000 but this is not taking into account the stage and equipment which are part and parcel of the enormous scale of production which comes with hosting the Eurovision. This is the song contests second outing to Vienna, the first was in 1967, some 48 year ago. Director General of ORF Alexander Wrabetz has said that: "Vienna is the city of music and arts in the heart of Europe. Together we will do everything to assure a successful 60th Eurovision Song Contest." While Jon Ola Sand the Executive Supervisior on behalf of the EBU has also shown his support of the decision: "We are confident the city has the experience, people and the facilities to host the world’s foremost entertainment event. With the cooperation between Vienna, ORF and the EBU, I’m sure we’ll see three amazing shows in May." Further details of the 2015 Eurovision Song Contest will follow in due course. Austria will host next years Eurovision following the runaway victory of Conchita Wurst with the song Rise like a Phoenix at the Copenhagen contest last May. Now we know when and we know where we’re going in 2015; stay with the EuroVisionary Team on the road to Vienna!